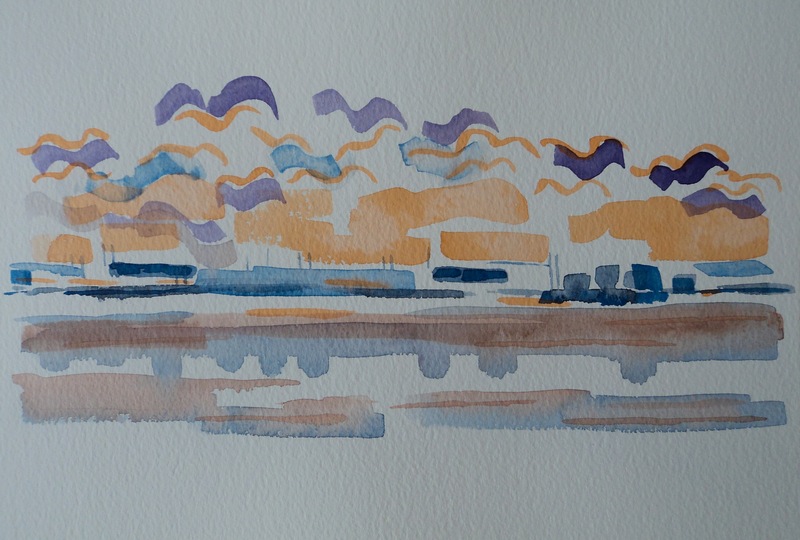 While I have been away I produced some small 10″ x 7″ watercolour sketches based on my location drawings. I used russian watercolours which are really excellent in quality and have an amazing intensity of colour. I find working with watercolour immensely satisfying and enjoyable. When I look back on them I feel they have an uplifting liveliness to them that surprised me as my sketches often have a moody sombre quality. 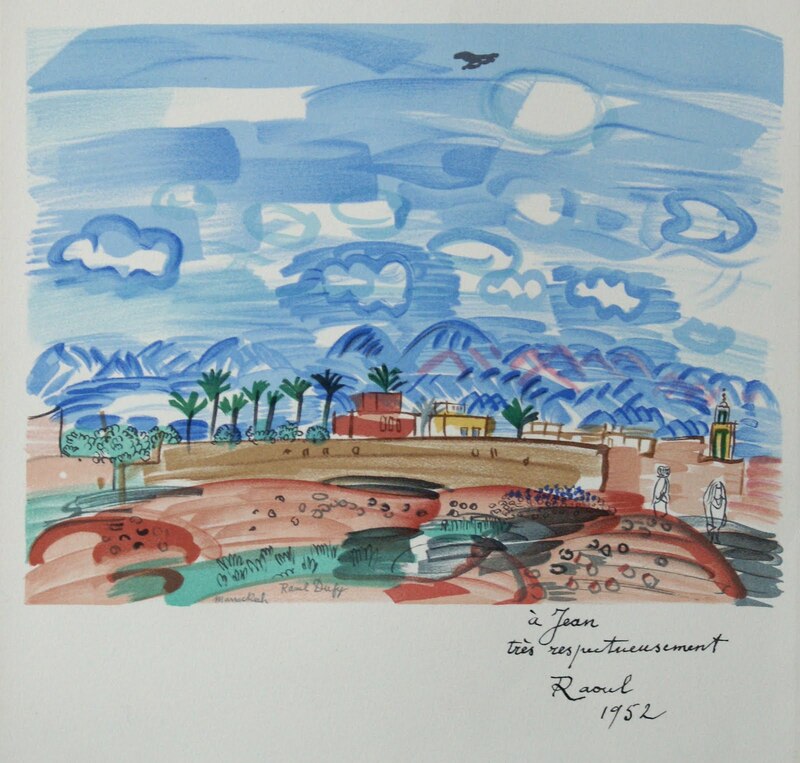 The paintings remind me a little of Raoul Dufy‘s painting of the Mediterranean. I am hoping that the MA group exhibition is now up at the art school and looking good. Below is the abstract that I put with my piece as a reminder of what my practice is about. I am stimulated initially by landscape. 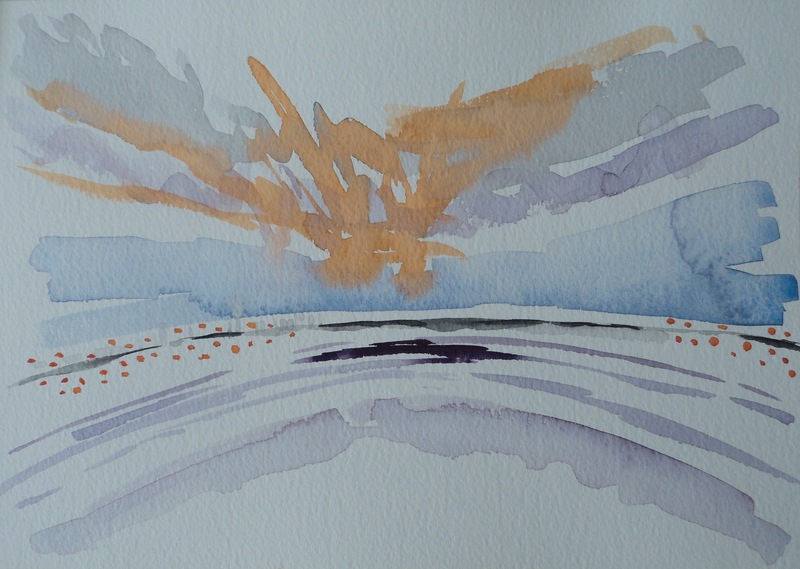 I concentrate purely on one view across the River Humber this gives me the freedom to focus intensely on my main concerns: atmosphere, light, the elements and scale of nature. The huge, panoramic yet minimal quality of this landscape exaggerates these components leaving only the thin and distant horizon line to focus on. I work in an immediate and spontaneous way to capture fleeting atmospheric changes in the landscape surrounding me. I prefer to sketch on location as it translates and records my direct emotional response in a more fluid way. Later I take the drawings into the studio and react to them impulsively through a variety of media on different surfaces. The pure joy of the creative process is my primary inspiration. I let the processes and media lead me as I enjoy the unpredictability of the media and my impulsive response to it. This entry was posted in Practice and tagged Drawing, expressionism, Genius Loci, landscape, painting, Raoul Dufy, Watercolor painting, Watercolour. Bookmark the permalink. I came across these by chance following the “watercolour” tag. I like the simplicity and sparing nature of these sketches.